A Systematic Investment Plan (SIPs) is an ideal way to invest in mutual funds for long term wealth creation and it is no surprise to see over 75% of our investors opting to invest via SIPs. We are glad to be a part of your wealth creation journey. To make your investing experience faster and convenient, we had added SIP Top-up and Pay Later earlier. Quite a lot of you might have more than 1 SIP scheduled on the same day with a preferred mode of payment being NetBanking or UPI or Debit Card and it’s painful to make multiple payments (enter OTPs, etc). 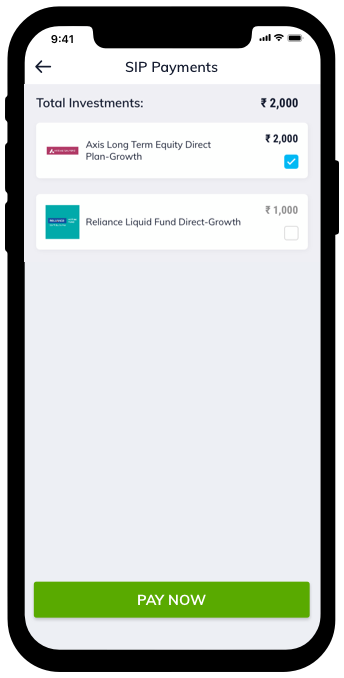 Now make all SIP payments in one single-flow! So how does the single payment work? 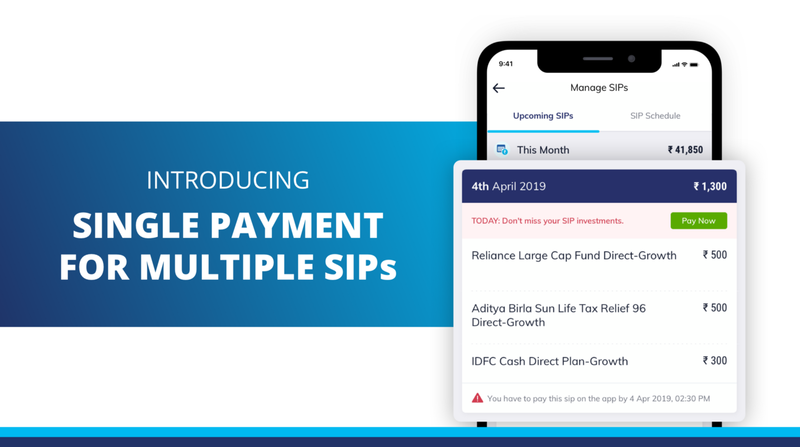 Simply head to manage SIP section of the Paytm Money app — you will see all of your SIPs for a day are clubbed together for a single payment experience. You can make the payment from any of your 5 verified bank accounts with your preferred mode such as — NetBanking, UPI, Debit Card. 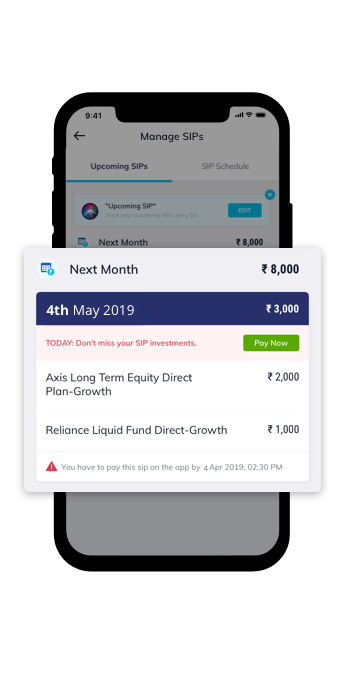 PS: If you have more than 2 SIPs on the same day and you do not wish to invest in any one of them, you can simply un-select that one and make payment for the remaining ones in a single flow. Isn’t that time saving! 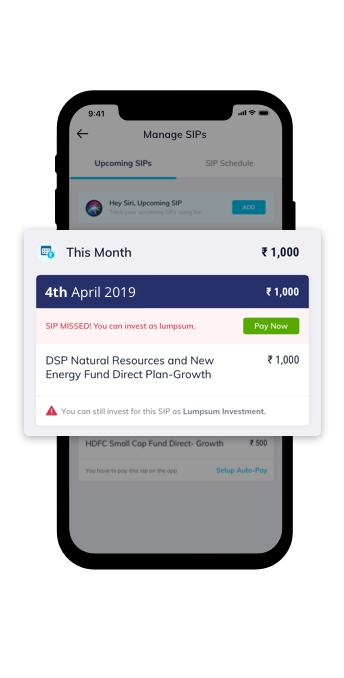 You can stick to your investment schedule by paying for your missed SIPs as lumpsum investments. Firstly, your mutual fund scheme must support lumpsum investing. You will be prompted to complete the payment via lumpsum mode for upto 7 days from the SIP due date. 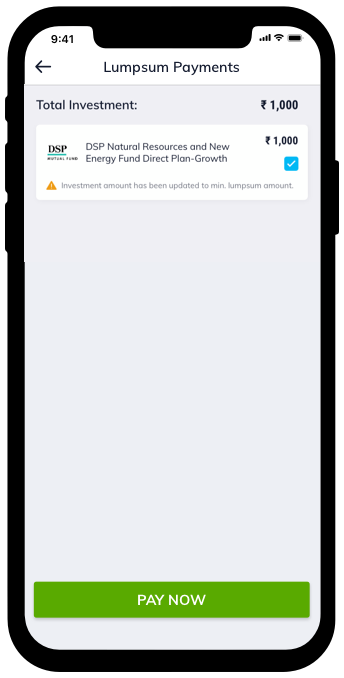 Further you have an option to un-select any of the mutual fund schemes for which you do not wish to invest in lumpsum mode and proceed ahead with a single payment. PS: This option remains open for 7 days from the time of your scheduled SIP date. We hope you like using this simplified SIP management experience even more. Do tell us your feedback in the comments below & for any queries, you can always raise a request directly from the app.